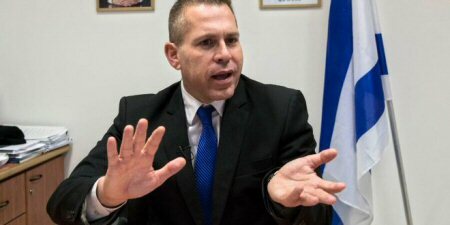 Israeli Minister of Internal Security, Gilad Erdan, has prepared a plan which aims to intensify the security in the Bab al-Amud area and in the Old City district, through deploying dozens of checkpoints similar to those used by the military. According to the PNN, the deployment of the Israeli forces and the border guards at those points, in addition to the deployment of 40 smart security cameras which the plan includes is, reportedly, to enable the Israeli police to monitor what is happening in the region. The process of setting up these points will take place within a month, said Israeli Channel 10, noting that it will highly affect the image of the old town. The Israeli occupation, during the past periods, has deployed dozens of surveillance cameras in the area, especially in the vicinity of Bab al-Amoud, as well as a near permanent checkpoint in the area where Israeli forces inspect citizen ID cards.